Our friendly Hampton by Hilton London Luton Airport hotel offers a fantastic range of amenities to help make your stay memorable. Start your day with Hampton's free hot breakfast and enjoy free tea and coffee throughout the day. For dinner, visit the.. 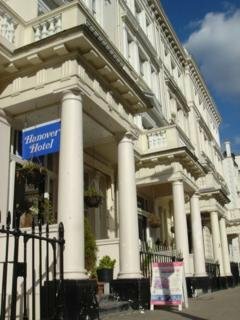 This hostel with traditional decor, housed in an exquisite-Victorian building dating back to 1859, is situated in Victoria area is within a ten minute walk from the public transport stations and provides guests a convenient location from where to begin..
##Property Location With a stay at Harefield Manor Hotel in Havering, you'll be close to Queen's Theatre and Victoria Road Stadium. This hotel is within the vicinity of Upminster Windmill and King George Hospital.##Rooms Stay in one of 58 guestrooms featuring..
North Harrow 13 km from London: House "Harrow House", 2 storeys, terraced, from the 20th century, renovated in 2006. In a cul-de-sac. Private: garden with lawn. Parking at the house. Shop, grocery 300 m, restaurant 500 m, bus stop 300 m, underground.. 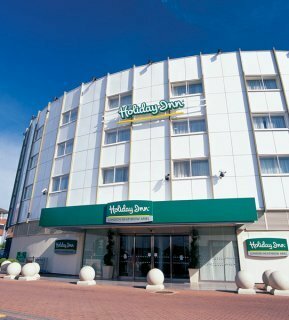 The modern hotel is located about 6 km from Luton Airport and local business parks. The M1 motorway is within easy reach, the city of London is about 58 km away. Features of the hotel include 24-hour reception, currency exchange, free WIFI throughout,.. This hotel is located at the heart of the bustling city of London. The hotel lies just a short distance away from the centre of the city, where countless shopping and entertainment venues are just waiting to be explored. The hotel lies within easy access.. The hotel is located on the Festival Leisure Park set in its own grounds overlooking the picturesque garden and fishing lake, 40 minutes from Stansted Airport and 8 miles from Junction 29 of the M25. You can reach London in approximately 40 minutes by.. This modern hotel is located 34 km from London and 36 km from Stansted airport. From the hotel, the Lakeside Shopping Centre is easily accessible and there is also very good access to the M25 motorway (junction 28).This air-conditioned airport hotel is.. 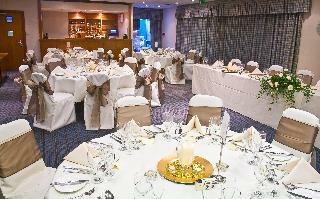 The hotel is ideally situated just off Junction 28 of the M25, 2 miles from Brentwood town centre, 25 minutes from Stansted Airport and 40 minutes to Central London by train to Liverpool Street Station (Central, Circle, Metropolitan and Hammersmith and..